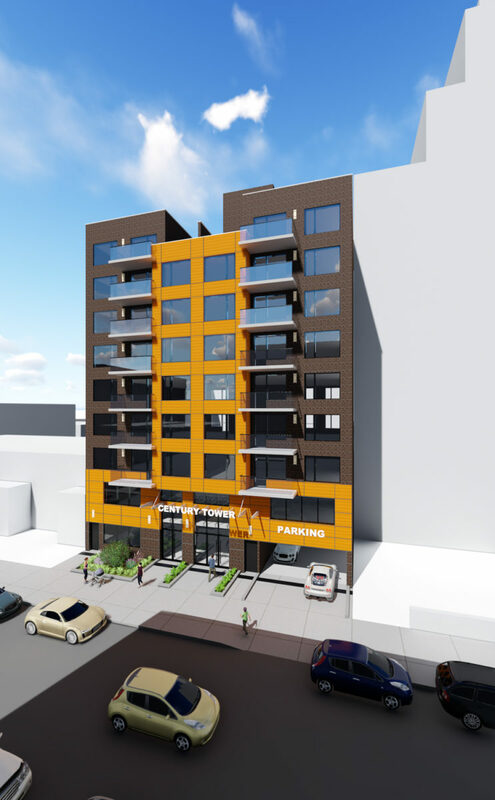 Permits were filed during late January for a nine-story mixed-use building at 132-27 41st Road in Flushing, Queens. Today, YIMBY has a first look at the design of “Century Tower”, thanks to the developers, NY Excelsior Development LLC. The renderings show a clean minimalist façade with fourteen balconies, and two outdoor terraces on the rooftop, divided by a brick wall. The façade will be composed of traditional brick, with terracotta feature panels covering a fifth of the building’s front. The ground floor will have aluminum frames around separate entrances for residents and the medical offices. 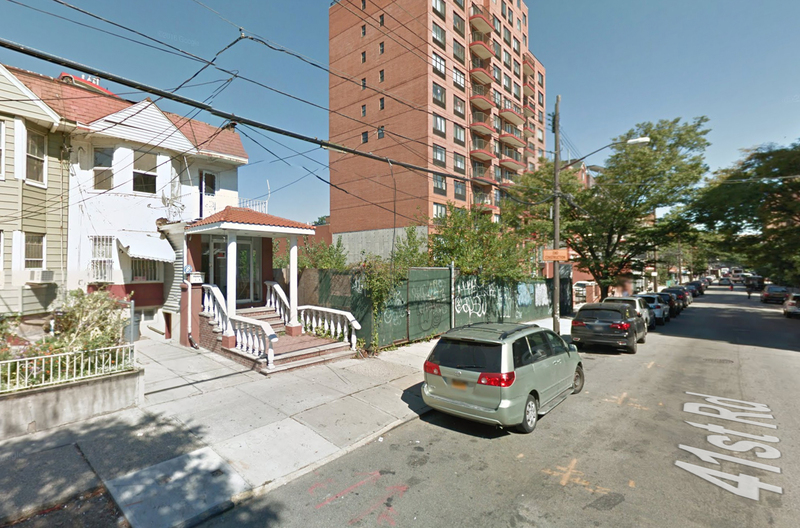 We have learned that the site will be divided into two addresses, 132-25 and 27 41st Street. The 112-foot tall structure will yield 51,260 square feet, with 25,570 square feet dedicated tor residential use, and 15,490 square feet dedicated to community facility use. That space is expected to become ten units of medical offices. 33 apartments will be created, all of which will be market-rate one-bedroom units. A below-grade parking garage will be included, with a total capacity for 40 vehicles. Tenants will have a grand lobby, storage units, bicycle storage, and a terrace garden on the 2nd floor. ArchinetNY Inc. is responsible for the design. Groundbreaking is expected by September, with completion anticipated for 2020. 1 Comment on "Rendering Revealed For 132-25, 27 41st Road, Flushing, Queens"